Any fellow font junkies out there? If so, this post is for you. 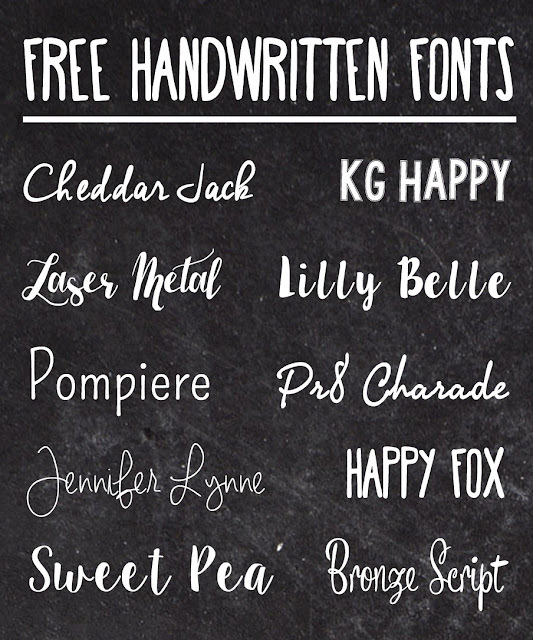 Today I'm sharing some of my favorite handwritten fonts (that also happen to be free). If you're not sure how to download and install fonts on your computer, here's a great tutorial. Happy downloading!